Ten 10 regional cities, when combined, showed occupier take-up was up 26% in the first quarter of the year compared to the same period last year, and some 20% ahead of the five-year quarterly average. Knight Frank’s latest regional occupiers markets report shows that overall Grade A availability continues to diminish in the absence of concerted speculative development, with Newcastle seeing significant year-on-year falls of available stock. In the investment market, total regional volumes outside London and the South East reached a healthy £735m in Q1, 28% above the five-year quarterly average, but 35% down on Q4 2013’s impressive total. Dickon Wood, partner, Investment, Knight Frank, said: “Despite very strong demand for regional offices among the UK Funds, volumes are being constrained by a lack of stock on the market as landlords opt to hold rather than sell. “With a limited supply of buying opportunities, the strong weight of money in the market continues to put pricing under pressure. He said that with the majority of the regional markets now having less than two years’ worth of Grade A supply available, this is expected to put upward pressure on headline rents over the coming 18 months. As the recovery in the occupier markets accelerates, rental growth is expected to be one of the main drivers of investment performance this year. And while the rate of yield compression is expected to ease, it is, however, likely to constitute another main driver of the sector’s performance as the revival in occupier sentiment continues. The improvement in sentiment and values has led to a number of property owners realising profits and selling assets. 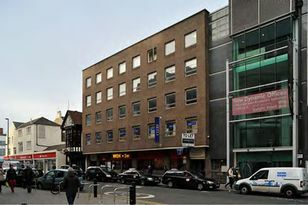 Knight Frank has been involved in two high-profile deals with the sale of Time Central in Gallowgate at the end of 2013 in excess of the £21,810,000 asking price, and more recently, the sale of the iconic, 16,493 sq ft Fitzgeralds, on Grey Street, for in excess of £3.6m.